You've heard your friends describe the ecstasy that comes with installing Linux, and now you've decided to take that fateful plunge. Being new to this whole Linux scene, you've determined to install what is known as one of the easier distributions, Red Hat 7. This guide will take you through several steps which will ultimately leave you with a dual-boot system. You'll be able to choose at boot between your existing Windows setup and a fresh Linux system. Take a deep breath, and read on. Linux does an excellent job these days of autoprobing your system to determine what hardware you have and what settings that hardware is configured for. Sometimes, however, Linux does need help, and there are occasions where you'll find that you have some component not yet supported by Linux. Bill Gates reportedly once said, "640k of RAM ought to be enough for anyone." It's that kind of forward-looking view of the world that gives us a peculiar DOS contrivance now turned into a useful tool: the disk partition. DOS, Windows 3.1, and even the initial release of Windows 95 had limitations on how much hard drive space they could recognize. If a drive were larger than this recognizable limit (2 Gigs under Windows 95, I believe), then the operating system simply couldn't "see" the rest of the drive. We'll exploit this construct to leave one partition formatted as a Windows partition, and to create a second partition formatted as a Linux partition on which to install Red Hat GNU/Linux. add a second partition on the newly freed up space. Reboot the computer and start the Red Hat installation. Resizing your hard drive nondestructively will be easiest and least likely to cause problems if you defragment your hard drive first. Windows doesn't store all files in contiguous sectors on your disk. As a result, files can end up scattered across a much larger portion of your hard drive than the amount of drive space you're actually using. Defragmenting simply packs all sectors being used as efficiently as possible onto the beginning of your hard drive. You can use Windows' native defragmenting tool by selecting Start -> Programs -> Accessories -> System Utilities -> Disk Utilities. More effective deframentation programs come with utility suites like Norton Utilities. You can get the Parted disk image from http://www.gnu.org/software/parted/. It's the file ending in the .img extension. There should be a copy of Rawrite on your Red Hat CD. If you can't find it, you can always download it from ftp.debian.org/debian/tools/. When you run rawrite it will prompt you for the source file; give it the path to where you've downloaded the Parted disk image. This will be something like "C:\Windows\Desktop\parted.img". It will then prompt you for the target location, meaning your floppy drive. Enter in "A:". Now simply reboot your computer with this floppy disk in the drive. When this floppy boots, you'll see a lot of unfamiliar messages scroll by that are a routine part of the Linux boot process. You'll eventually come to a command line prompt, something reminiscent of running DOS, and you'll see a message that says, "You can run parted by typing 'parted DEVICE' where device is the name of the drive you wish to partition." Linux has a different naming scheme for disk drives. All devices, including disk drives, are listed in a directory called "/dev". IDE hard drives -- the most common type -- start with the letters "hd". The first hard drive will be "a", the second "b", and so on. Each partition on a drive gets a number, starting with "1". So Linux would refer to the first partition on your first hard drive as "/dev/hda1", and would refer to the whole first hard drive as "/dev/hda". You may see some warning messages appear when running parted that have to do with either small discrepancies in the way Windows and Linux measure disk size, or that have to do with moving Windows system files. In our experience, these warnings can safely be ignored. Your system should now be ready to have Red Hat installed. Most newer computer BIOS' and CD-ROM drives allow you to boot from a CD-ROM. All you need to do is insert your Red Hat disk one into your drives and reboot your computer. If your CD-ROM is not bootable, you'll need to make a boot disk using a floppy boot image and rawrite.exe. At the boot prompt, press enter to begin the installation process. Next, you should see some text scroll by the screen as a basic Linux kernel is loaded. After some initial checking, anaconda, the Red Hat installation program, should load. If your video card is supported, you'll be presented with an easy-to- use graphical user interface, which will walk you through the install process. If your card is not supported, the install will continue with a text-based interface. We'll be walking you through the GUI interface, but the same choices will also apply to the text menus. Anaconda is set up so that the left hand window will display some basic instructions and help for the current configuration options, and the right hand part of the window contains the choices. At the bottom, you can either select the back or next buttons to navigate the install process. If at any time you think you made a mistake, just hit the back button and you'll have a chance to fix them. The first question you are presented with by anaconda is the language you wish to use for the rest of the install process. English is selected by default. Once you make your selection, move your mouse cursor to next and click the left mouse button. Anaconda now presents you with keyboard configuration. For most setups, the default choices will work. Unless you have a special language keyboard, leave the defaults and click next to continue. As we move onward, the next step is mouse selection. If you are confused which type of mouse you have, follow the instructions in the help box. The main hint they give is, "If the connector your mouse plugs into is round, you have a PS/2 or a Bus mouse; if it's rectangular, it's a serial mouse." If you only have two mouse buttons, click the "Emulate 3 Buttons" box. This will allow you to fake the X Window System into thinking you have three mouse buttons. To access the third mouse button, click both of your mouse buttons simultaneously when in X. Normally, this will paste text that is in the copy clipboard. Next, anaconda gives you an overview of the rest of the installation process. The best hint is, "You can cancel this installation at any time up to the Preparing to Install screen. Once you click Next on Preparing to Install, package installation will begin and data will be written to your hard drive. To cancel before this screen, you can safely reboot your system." Red Hat also includes a copy of their installation guide on the CD-ROM. Once you have reviewed your options, click next to proceed. Now, you'll need to select which type of installation you desire. You have the choice of Workstation, Server, or Custom Install. If you'd previously installed a earlier version of Red Hat Linux you would select Upgrade. If you are a desktop user, select Workstation. If you ever need to run a server later, you'll still be able to install it even with a Workstation install. If you are unsure which option to pick, you'll probably want Workstation. Be sure to read the help window for further information. Click the next button to continue. Now, anaconda will prompt you on how to partition your machine. Since we already created our Linux partitions using parted earlier, we can select the automatically partition and REMOVE DATA option. This will erase any existing LINUX partitions on all disk drives. If this is your first time installing Linux, you don't need to be concerned. 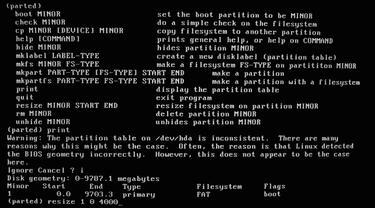 Otherwise, to keep existing Linux partitions, you'll need to select the manual partition option. Select next to continue. You'll now need to set up networking. If you are connected to a LAN or directly to the Internet through cable modem or DSL, this is where you'll fill in your IP address, Netmask, and other networking options. You can obtain these settings from your network admin or ISP. If you do not have an Ethernet card in the machine, simply click next. At this point, Red Hat needs to know what time zone your computer is in. Simply scroll down the list of included locations until you find one that is in your time zone. Alternatively, if you know your UTC offset you can select that under the UTC tab. Once you've made your selection, click the next button to continue. You'll next be asked to choose a password for the root user, and add a regular user account. In order to select a good password, you'll need a sequence of at least six characters. In order to protect your system against malicious crackers, the password needs to be a combination of letters, numbers and characters. It also needs to be something you can easily remember. It does no good to come up with an obscure password that you can't remember, so you are forced to write it on a sticky note taped to your monitor. After you select root's password, add a regular user. It is also recommended that you use the same diligence in choosing this password. Also, do not use the same password as root. These are going to be two separate accounts, even if you are the only one using your computer! You may add as many user accounts as you wish. After you are finished, click next. Next, you need to select which desktop you want to use. In the Linux world, there are two major choices: KDE or GNOME. Both are desktop environments that run under X. They both present you with an easy-to- use GUI. If you've used any of Windows, MacOS, or OS/2, you'll be able to easily transition to either of these. If you wish to try out both, you can select both and change between them at run-time. You'll also have the option of installing some basic entertainment games. For this guide, we'll select GNOME and click next. X Configuration is the next step in the process. This can be one of the more difficult steps in any Linux installation. That said, Red Hat has invested a great deal of time and effort to automate the process. Newer video cards and monitors will be auto-detected and auto-magically configured for you. If you have older hardware, simply select the brand of your monitor and select Next. If your monitor is not listed, find the monitor's manual and input the Horizontal and Vertical Syncs listed in the manual. Likewise, if your video card is not detected, the next installation screen prompts you for the proper information. You'll need to know the brand name and the amount of memory your card has. As a last resort, you may use the Generic models, which should work with most cards. If you wish to have a Graphical Login instead of a text login, click the "Use Graphical Login" button. After you've made your choices, select next. Next, you'll be given one last chance to abort the install process. 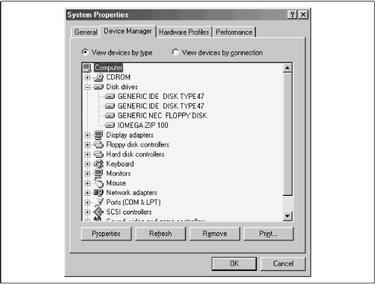 Once you click next on this screen, Red Hat will format your partitions and begin to copy the packages from the CD-ROM. Anaconda will prepare your hard drive and then copy the necessary files. After it is complete, it will reboot your system. At that point, you should have the choice to select between Linux and Windows. Choose Linux and you'll be booted into your new Linux machine. If you added a user, login using their username and password. Once you are at the shell prompt, type startx to load the graphical interface. Gnome should start at this time. You'll be able to configure most of your setup through the GNOME Control Panel. It is setup very similar to Windows; you should have no problem transitioning. As you learn more about the system, you'll become familiar with the text configuration files in /etc, but for now Red Hat and GNOME have made a good attempt to shelter you from the more complicated configurations. Linux and the Internet are woven together as a twisted pair. Linux development would not be possible without the Internet, and today most Linux programs end up being developed and distributed over the 'net. You'll want to get connected as soon as possible. Red Hat 7 includes a nice wizard-driven PPP dialup tool which allows you to easily setup your modem and connect to your ISP. This configuration tool is called rp3-config. To invoke the program, go to the GNOME menu, select run, type rp3-config and select ok. The rp3 will load and prompt you to setup a new Internet connection. 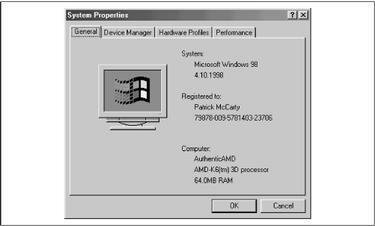 If you've ever done a dial-up networking config under Windows, you should be familiar with this style of interface. To move through the wizard, select the back and next buttons. Rp3 will first attempt to auto-detect any modems you have connected to your machine. Make sure you have the phone line plugged into the correct port and if the modem is external, that it is powered on. Once the modem is detected, you'll be asked for the name of the connection, the phone number you wish to connect to, along with your ISP username and password. Finally, the account will be created, and you can now use the debug menu to connect to your ISP to test the connection. Later, you can simply use rp3 to connect quickly to your account. On the Internet, there is a wealth of free software available pre-compiled for your Red Hat system. These are usually packaged in an easy-to-install form called RPM which simply stands for Red Hat Package Manager. You'll find updates for your system in .rpm on www.redhat.com as well as independent sites like rpmfind.net or sourceforge.net. This will upgrade your program to the version contained in the latest package using the same parameters as the previous install example. Give yourself a pat on the back. You've become a part of the bigger Linux community. You'll be able to find more resources at Linux.com, Redhat.com, and other Open Source software sites. Be sure to check out IRC and Newsgroups for further assistance. Matt Michie exists in the New Mexican desert. Please visit his web site at http://daimyo.org. This article is made available under the terms of the Open Publication License. You are encouraged to comment on it and to make your comments available for future versions of this article. Like software, documents serve the community best when they are open and living documents. Portions of this article were adapted from Mark Stone's Debian Installation Guide.